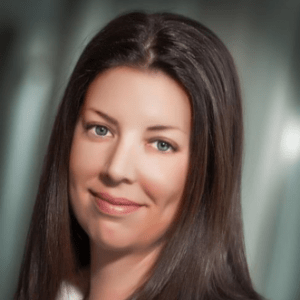 Kristen Bruner is vice president of Human Resources for Boeing Global Services. This function provides employee support to Government and Commercial businesses and the Supply Chain; Digital Aviation & Analytics; Training & Professional Services; and Engineering, Modification & Maintenance capabilities across Boeing Global Services. Kristen is responsible for the development and implementation of the function’s strategy that drives the business plan’s competitiveness and growth through service/solution delivery in change management, talent planning, organization design, leadership development, training, workforce planning, employee relations, compensation, benefits and diversity initiatives. Prior to her role as vice president of Human Resources, Kristen served as director of Human Resources for Commercial Aviation Services where she provided training, planning, compensation and benefits support to approximately 12,000 employees in 126 field service locations in 61 countries. Previously, Kristen was director of talent and organizational effectiveness, leading a team of talent management specialists and organization development consultants that help build future leaders and capable organizations for Boeing. In this role, Kristen was responsible for all customer facing activities as well as building and deploying a full suite of solutions across a robust value stream that included; executive sourcing/selection/acquisition, identification of high-potential employees, succession planning, leadership effectiveness, organization development/effectiveness, assessing and measuring performance, organization development/optimization and change management. Kristen and her team worked to align these critical products, services, and solutions to Boeing’s business strategies in and across the business units. Kristen held a number of HR positions across Boeing including HR leader for Commercial Airplanes Strategy and Integration, the 787 program and Boeing Defense, Space & Security. She holds a bachelor’s degree in political science from the University of California-San Diego, and also has earned a professional certification in HR from UCLA, a master’s degree in Organization Development and an executive MBA from Pepperdine University.